On August 21, 1918, British forces began attacking German positions along a 10-mile stretch of the Western Front in northwest France. The assault was part of the World War I action now known as the Somme Offensive. Attached to the British troops fighting in the region were the 119th and 120th U.S. Infantry Regiments, which both contained a number of Cherokee soldiers from western North Carolina. In last September and early October as the offensive continued and preparations were underway to break through the German defensive positions known as the Hindenburg Line, the commanders in the area discovered that German troops were intercepting their telephone communications. The Germans then used those messages to discover the position of Allied forces and attack them. That’s where the Cherokee came in. The signal officers at the time guessed that the Germans wouldn’t be able to understand the Cherokee language, and instructed Cherokee troops to deliver messages by telephone in their native tongue. The tactic proved to be a success. 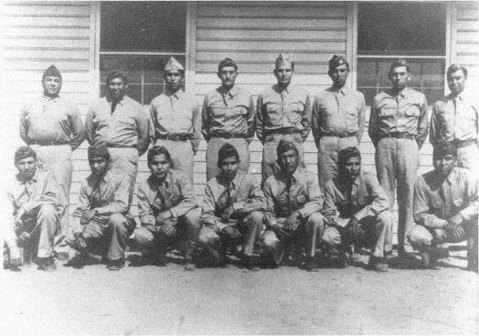 The Cherokee “code talkers” were the first known use of Native Americans in the American military to transmit messages under fire, and they continued to serve in this unique capacity for rest of World War I. Their success was part of the inspiration for the better-known use of Navajo code talkers during World War II.